The best digital camera for you isn’t necessarily an expensive hunk of metal and an accompanying backpack of lenses — it might be something as simple as a point-and-shoot. That term has grown increasingly broad, encompassing everything from pocketable cameras to larger superzooms or advanced models that rival DSLRs in image quality but don’t have interchangeable lenses. Just a few short years ago, we thought the point-and-shoot’s days were over, thanks to the increasing capabilities of smartphone cameras. Companies were cutting models or pulling out of the sector entirely. Sony, which manufacturers a significant percentage of camera sensors, saw overall sales of point-and-shoot cameras continue to decline — year over year — based on its research. Despite the gloomy forecast, there is a bright spot. While sales are down at the low end, there’s an uptick in premium point-and-shoot models that offer advanced features and high-end specs that phones can’t match. This growth could be attributed to step-up users who are upgrading from smartphones and want something that makes a noticeable difference in an effort to improve their photography, without having to opt for an interchangeable lens camera that might require a greater level of expertise. There are numerous types of cameras that classify as point-and-shoot, each appealing to a different user and use case. Here are a few of our favorite models, ranging from under $500 all the way to nearly $2,000, which should provide a good jumping off point in your search for the best point-and-shoot camera for you. Why should you buy this: Impressive performance and image quality. 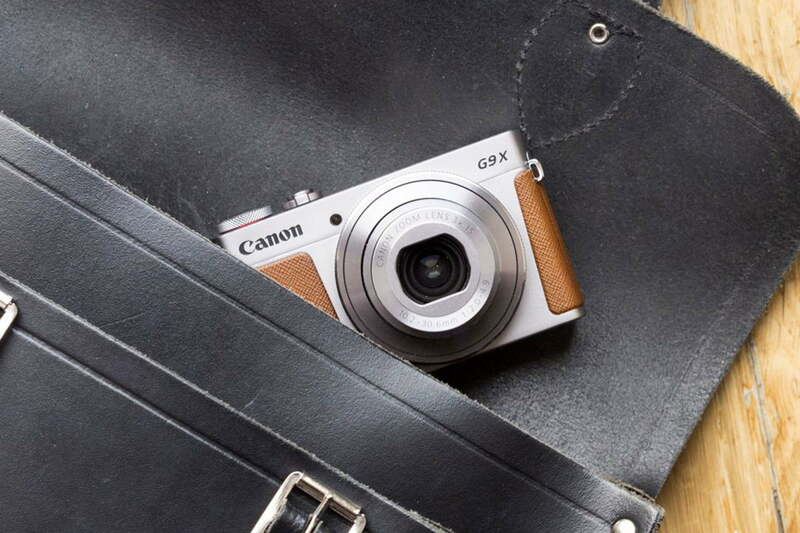 Who’s it for: Photo enthusiasts and pros on the go. Time and time again, a Sony RX100 camera is found at the top of this list. The sixth generation of Sony’s revolutionary point-and-shoot improves on an already excellent recipe by adding an 8x zoom lens, for an equivalent focal length range of 24-200mm. Yes, to achieve that reach, maximum aperture has been reduced to f/2.8 at the wide end and f/4 at the telephoto, but that’s still impressive considering how small this camera is. An updated version of the “stacked” 20-megapixel, 1-inch-type sensor returns, offering blazing fast performance up to 24 frames per second in continuous mode, faster than even Sony’s flagship A9 mirrorless camera. 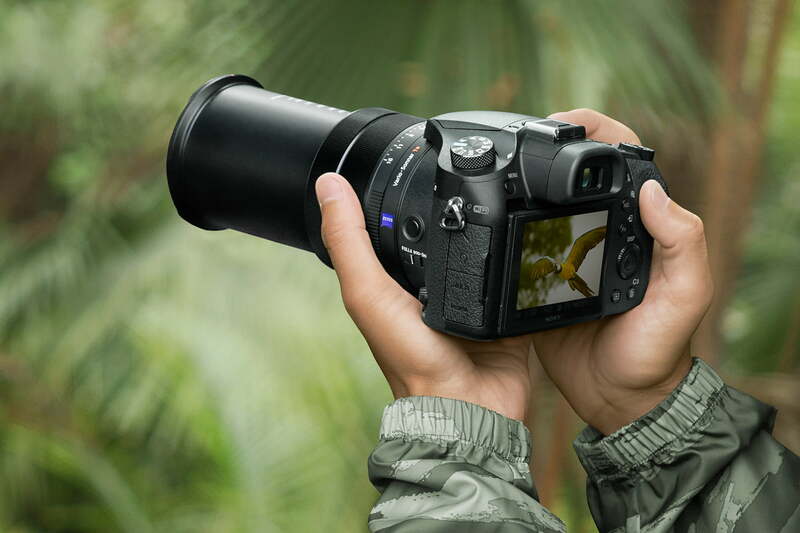 Autofocus is even faster than the RX100 V, acquiring focus in just 0.03 seconds in ideal conditions. Being a Sony, the RX100 VI also includes a full complement of video features. It can shoot 4K video at 30 fps, 1080p at up to 120 fps, and super-slow-motion at 240, 480, and even 960 fps. It also features Hybrid Log Gamma (HLG) for capturing the maximum dynamic range and playing back HDR content on compatible televisions, a feature normally reserved for much higher-end cameras. But perhaps best of all is that none of the RX100 VI’s advanced features are thrown in your face. They are there if you go looking for them, but if you want to sit back and enjoy an easy-to-use pocket camera, then you can simply do that without hassle. The nearly $1,200 price is certainly not for everyone, but you can still buy older RX100 models brand new. In fact, the original RX100 is still around for just $448, and while it can’t match the performance of newer models, it still shoots stunning images thanks to a very similar (albeit older) sensor. Who’s it for: Nature and travel photographers. 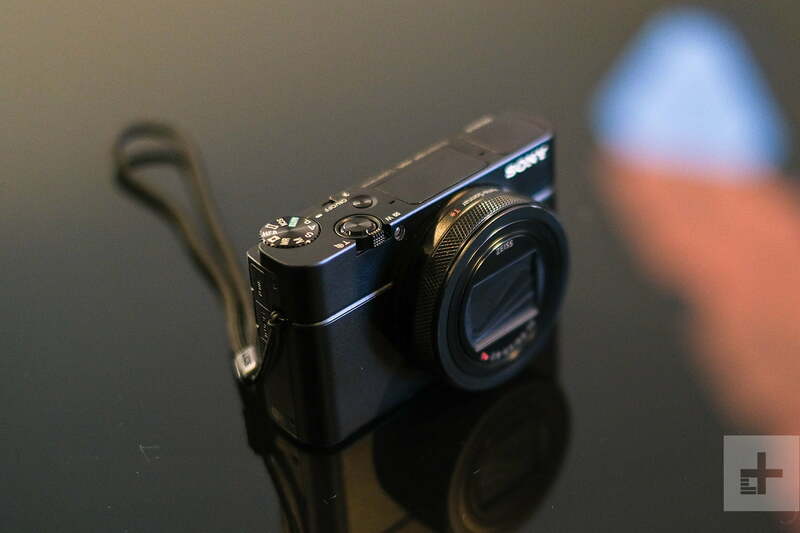 Well look at that, another Sony RX camera. The RX10 is the long-zoom compatriot to the RX100, and the Mark IV is the latest model. It is built around the same 20MP, 1-inch-type “stacked” sensor as the RX100 V and offers similar performance, including 24fps burst shooting, 4K video, and even faster autofocus performance at 0.03 seconds. If the RX100 V is the best point-and-shoot camera that can fit in your pocket, the RX10 IV is the best point-and-shoot camera that can’t — it’s more capable, but less portable. The main difference between the cameras is that the RX10 IV is outfitted with a massive, 24-600mm (full-frame equivalent) lens. This camera can shoot everything from open vistas to close-ups of wildlife, and that fast AF speed means it can even handle sports and action (we were quite impressed with not just the speed, but also the sharp image quality of our burst shots). Yes, this does make the camera considerably larger than the RX100 — you won’t be fitting it in a pocket — but it is relatively compact compared to a DSLR or mirrorless camera and the several lenses you would need to cover the same range. Naturally, it can also shoot great 4K video along with high framerate video at lower resolution and, yes, it also gets S-Log3. This would be a great B-camera, maybe even a main camera, for the documentary or travel filmmaker. At $1,600, this is certainly not a cheap camera. That price puts it in line with some very decent interchangeable lens models, but of course buying lenses would increase the cost of such cameras. Fortunately, as with the RX100, earlier models of the RX10 are still available new. The Mark III uses the same sensor and lens and costs just $1,400, although it doesn’t have the burst rate or AF speed of the Mark IV. If you need more reach than the RX10 IV offers, Nikon’s Coolpix P1000 is a fantastic choice. You’ll sacrifice a bit in the image quality department, but you’ll make up for it with a lens that might as well be a telescope. The superzoom category remains popular because you just can’t fit a good zoom lens on a smartphone, and the Nikon Coolpix P1000 offers a class-leading 125x zoom lens. That’s more zoom than what you’ll find on virtually any other type of camera, and is enough to get up close and personal with subjects you can only photograph from a distance, like wildlife, sports, or even the moon. To balance out that extremely long lens, Nikon has added strong optical image stabilization — but for best results, we still recommend using a tripod. The build quality is also solid, bringing a lot of the design perks from Nikon’s DSLRs onto the bridge-style camera. While the lens is of course long and heavy, the barrel rest comfortably in your left hand and houses an extra set of zoom controls for good ergonomics and operation. While the P1000 has a class-leading zoom, one of the reasons the camera can reach so far is a smaller 1/2.3″ sensor. The P1000 will get closer than any other camera on this list, but that doesn’t necessarily mean it delivers the best image quality. The larger-sensor cameras, like the Sony RX10 IV, will capture better images, particularly in low light. But, the P1000 has a zoom that’s hard to ignore. For subjects where getting up close trumps all other requirements, the P1000 is a worthwhile contender. Who’s it for: Street photographers and enthusiasts who want the image quality of a DSLR in a compact camera. When it comes to style, nobody does it better than Leica. But when it comes to style you can actually afford, all eyes are on Fujifilm. 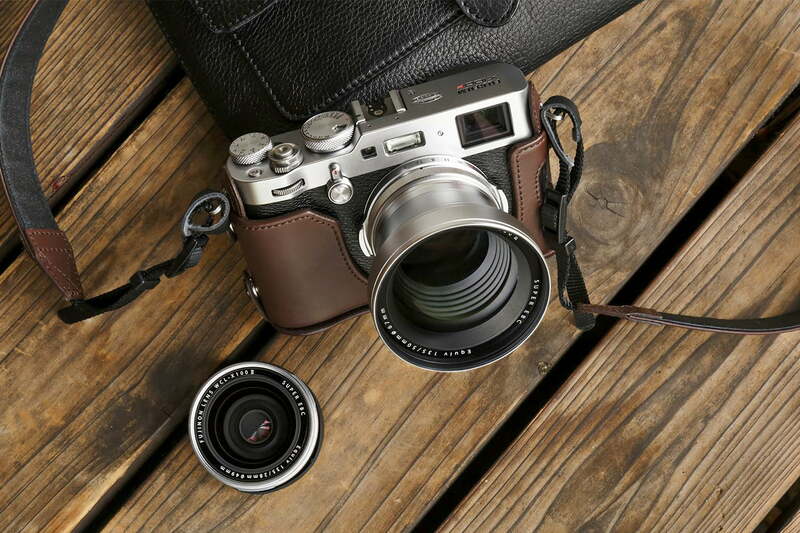 The X100F is the fourth-generation of the X100, a fixed-lens camera built around an APS-C sensor that employs a rangefinder-style hybrid viewfinder that can be toggled between optical and electronic modes with the flip of a switch. With each new iteration of the camera, Fujifilm has applied a light touch when it comes to making changes, careful not to fix what isn’t broken. The lens in the X100F, for example, is the same 35mm (full-frame equivalent) f/2.0 prime that graced the original, and the camera looks largely identical. The inside is a different story, however, and, fortunately, Fujifilm has fixed the things that were broken. The X100-series has always lagged behind Fujifilm’s interchangeable lens models in terms of performance, but the X100F finally catches up. It inherits the same 24MP X-Trans III sensor from the X-T2 and X-Pro2 along with the 325-point hybrid autofocus system. AF speed is as fast as 0.08 seconds, solving perhaps the number one issue with previous X100 models. There are some modest enhancements to the exterior of the camera, as well. A new AF joystick offers one-touch control over the focus point, there is now a dedicated ISO dial nestled beneath the shutter speed dial, and the front of the camera gains an additional control dial. The hybrid optical/electronic viewfinder also runs at 60 fps (in electronic mode) for smoother, more lifelike performance. Being stuck with a single focal length lens isn’t for everyone — for some people, a zoom lens is the best part about stepping up from a smartphone — but it allows the camera to remain relatively compact despite the large APS-C sensor (which is considerably larger than the 1-inch sensors used in many point-and-shoots and many times larger than the sensor in your phone’s camera). It also encourages a more thoughtful approach to photography, making it a great choice for enthusiasts and professionals alike. If you want the image quality of a Sony RX100 without the price, the Canon PowerShot G9X Mark II is a great choice. 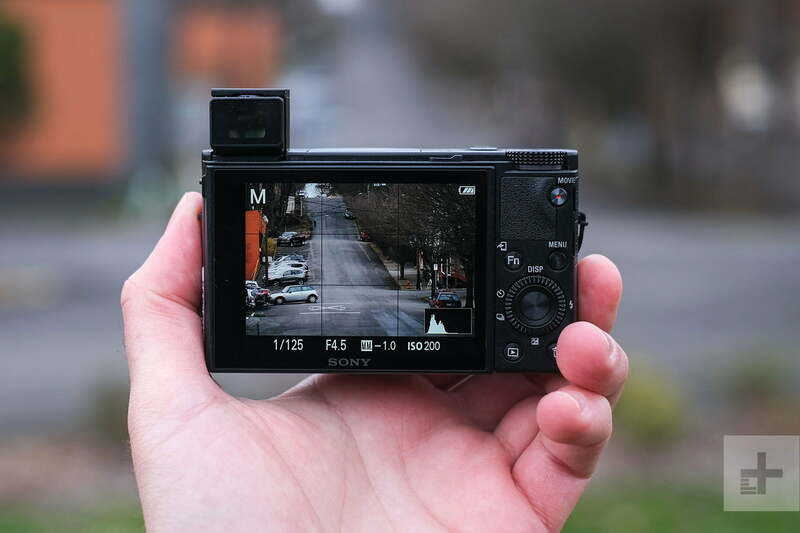 It doesn’t match the RX100’s burst rate, focus speed, or video quality, but it does capture great-looking still images at an unbeatable price. The lens offers a 28-84mm (full-frame equivalent) f/2-4.9 zoom range, giving it less reach than the RX100 VI but with an extra stop of light gathering capability at the wide end. It’s a good all-around focal length range that covers most normal shooting scenarios while maintaining a slim profile. These specs are identical to the original G9X, but the Mark II also adds Bluetooth and a newer processor to bump burst rate and autofocus performance slightly. Why should you buy this: Water, dust, and shock-proof; built-in GPS. All of the above cameras may be great, but none of them will work underwater — well, at least not without some sort of bespoke waterproof case. When you need a camera that can handle being dropped down a small cliff into a stream — and live to tell about it — the Olympus Stylus Tough TG-5 is for you. With adventurers in mind, the TG-5 is waterproof to a depth of 50 feet, drop-proof from a height of 7 feet, and features a built-in GPS with geotagging and location logging abilities that can create a map of your adventure viewable in the Olympus Image Track app. While its sensor is smaller than the 1-inch units in most of the other cameras on this list, it’s still not too shabby in the image quality department. The resolution has actually dropped from the TG-4 to 12MP, but this improves low-light performance, which pairs nicely with the 25-100mm (full-frame equivalent) f/2.0-4.9 lens. It also offers RAW files for maximum quality; a 20fps burst mode; and 4K video. Plus, it has a couple of tricks up its sleeve, like an excellent macro mode and an effortless Live Composite mode that makes light-painting a breeze. Sure, most smartphones have some degree of weatherproofing these days, and with a decent case they can even survive a good tumble, but why risk damaging your phone when cameras like the TG-5 are around? To find the best models, in addition to image quality, we factor in criteria such as speed, low-light strength, video performance, durability, form-factor/compactness, and any unique features that help them one-up the competition. Our selections are based on our long- and short-term testing; experience with earlier models; familiarity with the companies’ technologies; consultation with industry experts, fellow journalists, and users; online forums; lab results (such as DxO); and other third-party reviews. We look across the board — not just our own experiences — to find consensus on what we think are the best-performing cameras you can currently buy. We also look at list pricing to determine if a product is worth the cost, product availability, and future proofing qualities. We may even recommend cameras that aren’t new, provided the features are still best-in-class. As the name suggests, a point-and-shoot is a camera designed to be easy to use — just point the camera and press the shutter button. They can be simple compact devices that are fully automatic, or larger, more advanced options with myriad shooting modes and settings. This type of camera had been the most popular during the previous decade, but the smartphone has essentially usurp the traditional point-and-shoot’s dominance. But many standalone point-and-shoots, particularly the advanced models we mention here, offer things a smartphone can’t, and oftentimes that’s because of pure physics: larger sensors, optical zoom lenses with image stabilization, adjustable modes and settings, unique features, and more powerful performance in burst shooting and autofocusing, to name a few. Some, like the RX10-series from Sony, can even stand in as filmmaking cameras. While today’s smartphones are ideal for everyday shooting and capable of capturing nice images and videos, advanced point-and-shoots go the extra mile for users who want a bit of control over their camera. For more on the difference between a DSLR, mirrorless, or point-and-shoot camera, check our guide here. 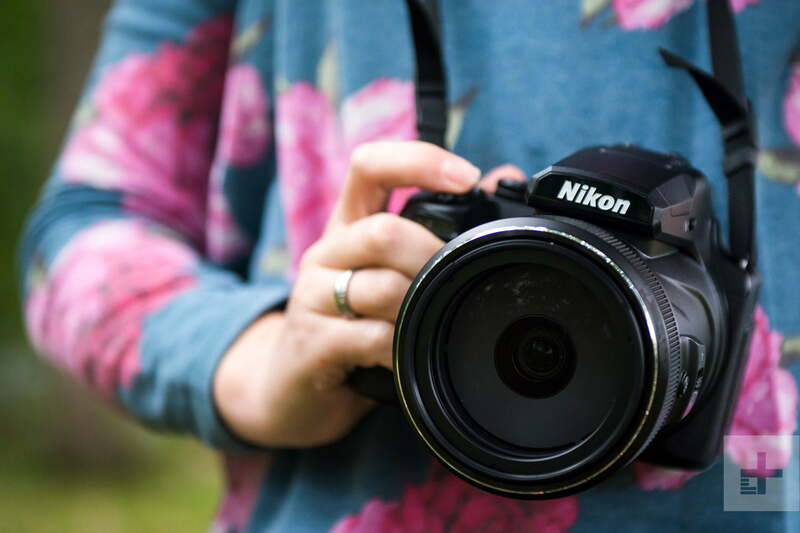 We also have tips on how to buy a camera, and if you’re buying your first DSLR camera, read up on how to select some lenses. To learn more about the difference between the various sensors used by point-and-shoot cameras, check our explainer here. Update: Our selections have changed as part of a weekly update, to reflect different prices, updated specs due to firmware, and stronger options that are now available.